Students Trained Paul Roma, Robbie Race and Tookie Tucker. Management Managed as "Master Fuji": Ax, Crush and Smash. 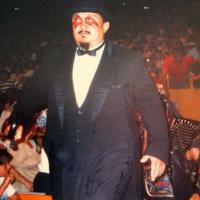 Managed as "Mr. Fuji": Akio Sato, The Animal, The Barbarian, The Berzerker, Cowboy Bob Orton, Jeff Jarrett, Jim Neidhart, Kamala, Kato, Killer Khan, The Magnificent Muraco, Moondog Spot, Owen Hart, Pat Tanaka, Smash, Super Ninja, The Warlord and Yokozuna. Managed by Managed by Freddie Blassie and Lou Albano.